Parents have blasted a junior school over plans to scrap the existing uniform and replace it with tracksuits and hoodies. School chiefs claim they want to help cash-strapped families save money by telling all parents to kit their children out in casual sportswear. If the plans are approved, pupils will wear blue-and-white tracksuit bottoms and a hoodie top emblazoned with the school crest. The current policy of pupils wearing black shoes will also be ditched in favour of non-branded white or black trainers. Parents have been asked to vote on the proposals - which have the backing of governors - which could come into force next year. 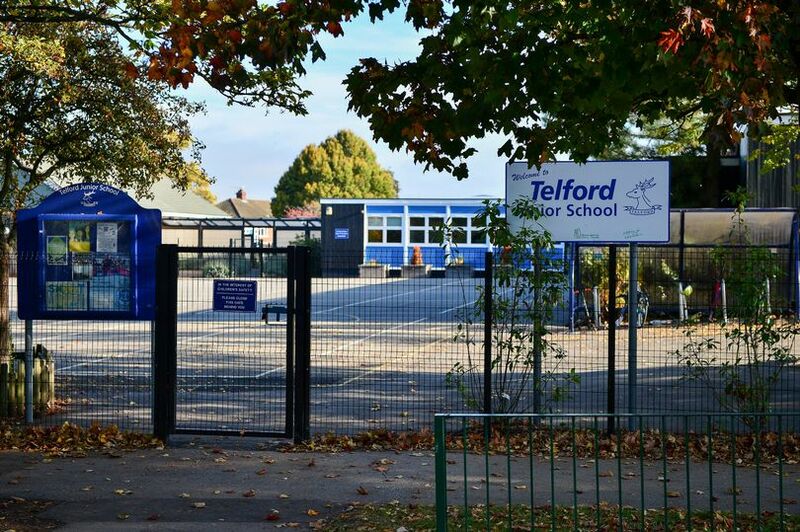 Telford Junior School, in Leamington Spa, Warks., says the new uniform would consist of "tracksuit bottoms, trainers, white sports socks, hoodie or zoodie in school colours with the school logo." Last week headteacher Richard Siviter wrote to parents, saying: "This uniform would be worn throughout the day, without the need to change into games kit for PE/games lessons." Lists the advantages of the sportswear uniform, Mr Siviter claims it "simplifies the school uniform and reduces costs to families." It also says it will "save valuable lesson time" and "overcomes the issue of changing in school" and "reduces lost property" while "maintaining a uniform code". But parents have reacted with outrage at the plans, saying tracksuits will lower standards and sends out the wrong message to pupils. Mum-of-two Michelle Jackson, 43, fumed: "Tracksuits are fine for PE but not appropriate for a classroom. "What's wrong with wearing a uniform? Children should learn how to look smart and take a pride in their appearance. "Unless we're preparing for the next generation to be PE teachers or drug dealers then I think a traditional uniform is best. "As for reducing the cost to families, it'll probably end up costing more because the tracksuits have to have the school crest on them. "The fleeced top the kids wear now costs around £16 but at least you can buy the trousers and tops from supermarkets for a few pounds. "If you have to buy all the uniform with the school crest, it's going to end up costing a fortune." Writing on Facebook, one dad said: "Tracksuits and hoodies? How chavvy is that?" Another parent wrote: "What the hell is going on? Hoodies? What's next on the curriculum? Lessons on loitering followed by double shoplifting??? "Why don't the school go the whole hog and just get kids to wear shellsuits - calm down, calm down Miss!" The current uniform includes black or grey trousers or skirt, white polo-shirt and a blue fleeced cardigan with black shoes. 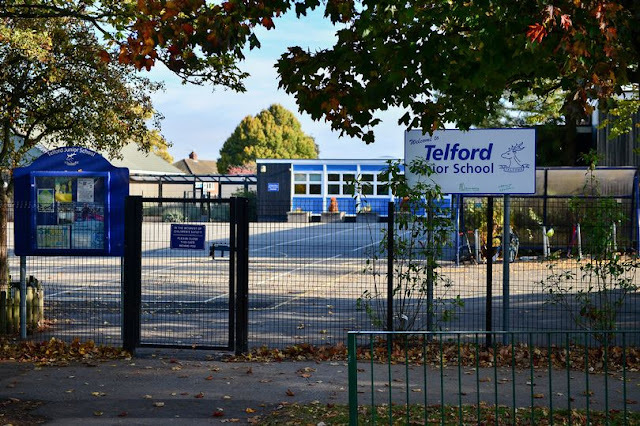 Telford Junior School, caters for 351 pupils aged 7-11 and is rated 'Good' by Ofsted, has sent the issue to parents for consulation before a final decision is made. Headteacher Richard Siviter said: "We encourage our pupils aged 7-11 to be fully active and we are at the early stages of looking at changing our uniform policy to reflect this. "We have an excellent record of consultation at the school and parents and pupils are invited to be fully involved in the decision making process." ""want to help cash-strapped families save money...""
by swapping one uniform to another?